Innovation challenges the way things have always been done – and this week there are plenty of stories of how brands are doing exactly that in both good and bad ways. From Apple’s recent underwhelming keynote (and what it means for the consistently overrated brand), to Universities rethinking how they offer education (particularly for non-degree seeking students). 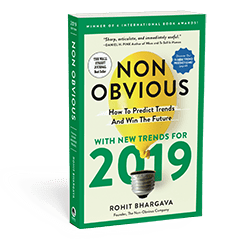 All that and the most curious taco-eating virtual reality experience you can imagine – all in my 7th collection of the most non-obvious and under appreciated marketing stories of the week! 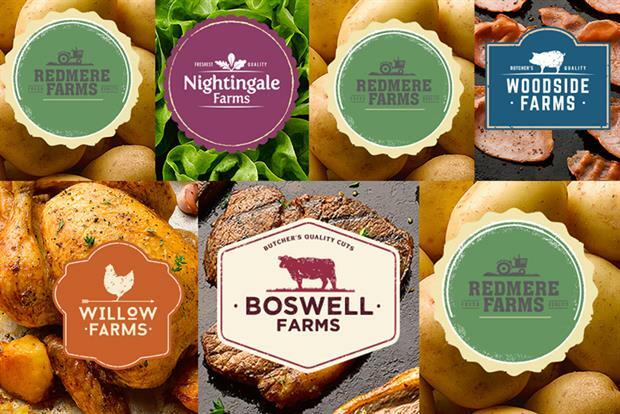 In a world already skeptical of the “organic” claims of many marketers, the backlash UK food retailer Tesco experienced from creating fake farm brands for new product lines should have been predictable. The story is sparking an interesting debate about exactly how much truth companies should have a responsibility to proactive share with us. 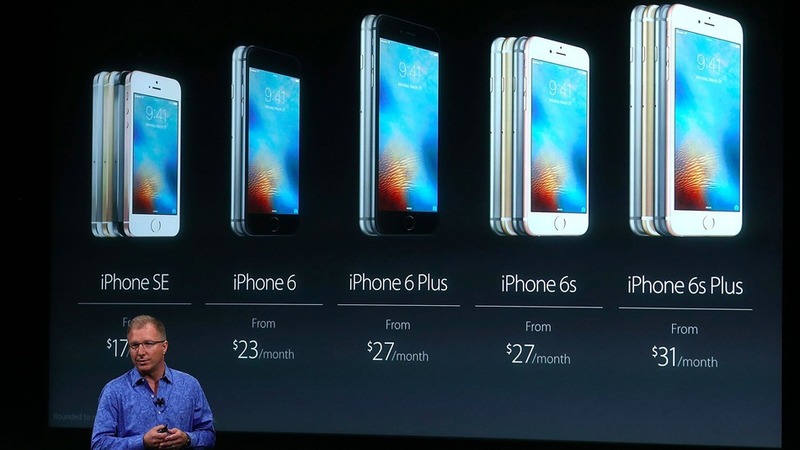 Apple’s recent announcement was described as a “Groundhog Day” style rehashing of familiar products, no game changing innovations and a product roadmap that proves just how badly the brand is struggling without Steve Jobs. It is also a rare example of a brand overly focused on execution and small incremental improvements instead of innovation that justifies the extreme price premium they continue to ask for. 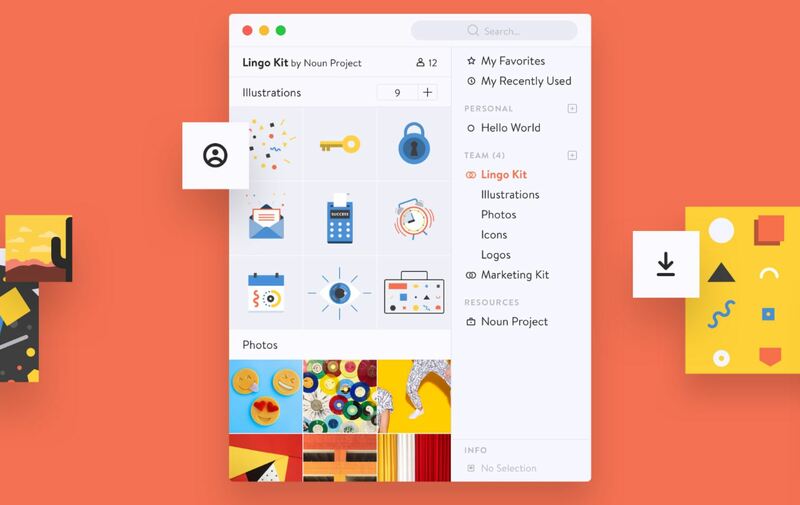 From the makers of Noun Project, this recently announced tool for organizing your visuals is exactly what designers have been waiting years to have. Folder structures are notoriously hard to use for locating visuals, but there hasn’t been a better way until now. Lingo Kit is fast, intuitive, smart and the solution to a years old annoyance. Sadly, the software only works on iOS for now. 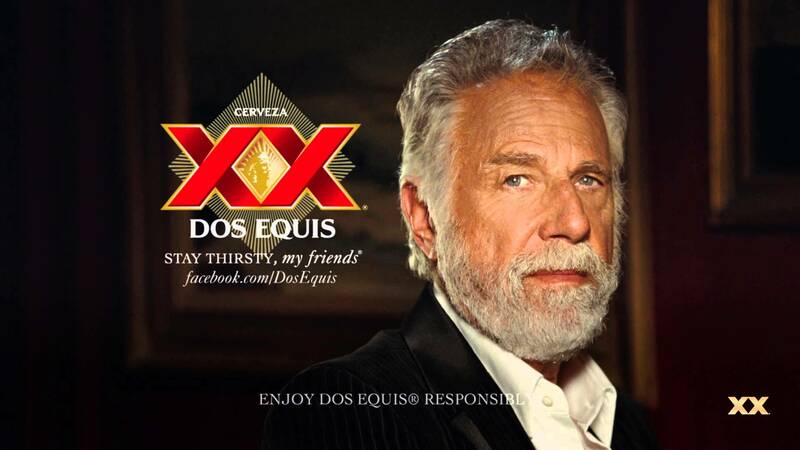 In case you missed it, the Most Interesting Man In The World recently took a one way trip to Mars and Dos Equis retired one of the most entertaining brand characters of the past decade. This short interview is a fitting send off, and a therapeutic look behind the scenes at what must have been the campaign of a lifetime for all those involved. 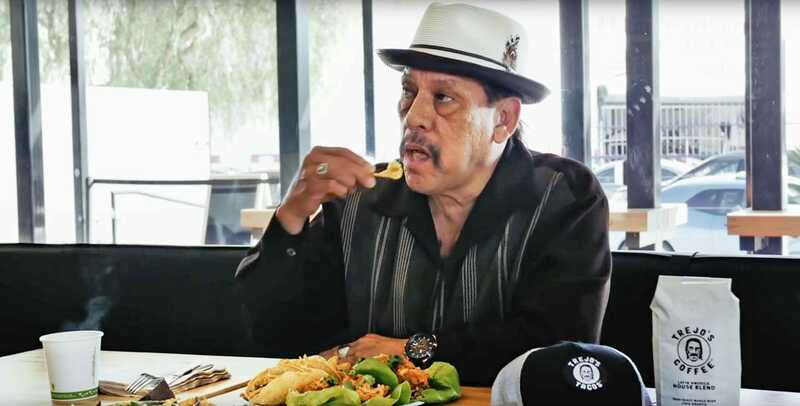 Yes, there is an experience where you can use virtual reality to eat tacos with actor Danny Trejo. What is even more interesting than the awesome absurdity of this as a “film” is that the effort may illustrate exactly the sort of VR experience people may soon long for – a chance to steal a “real” moment (however virtual) with heroes or celebrities who would otherwise be out of reach. 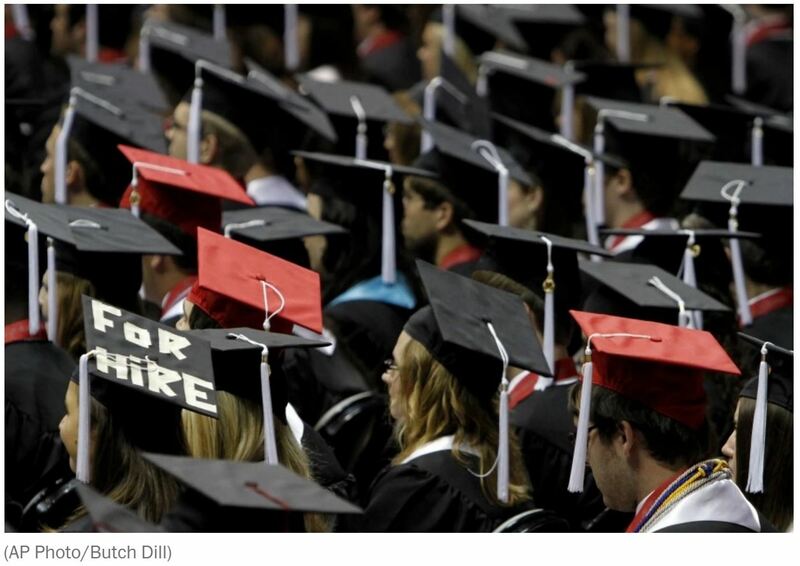 Should Universities Grant Degrees Anymore? This fascinating article from the Washington Post explores the natural byproduct of widespread skepticism of the four year traditional college degree – a shift towards bootcamps and other skills based training that more directly impact careers and focus on marketable skills above all else. The question, of course, continues to be what place the well rounded liberal arts education has in this new world. Some of the most powerful books you’ll ever read are based on deceptively simple principles. This book is a perfect example of that adage at work. 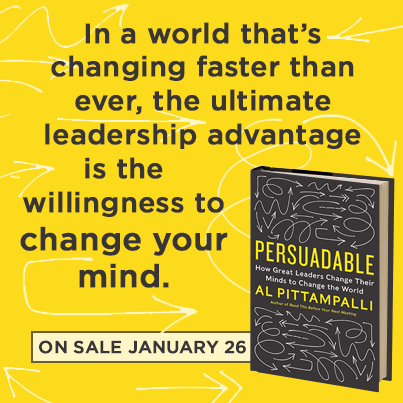 In Persuadable, Pittampalli convinces us that it is a unique type of leader that can have the confidence and vision to take input and change their minds … and this is exactly what each of us should aspire to be. In a political climate filled with opinions held not from conviction but out of a misguided necessity to frivolously disagree – this book is not only a wonderfully important reminder of the value of compromise, but also exactly the sort of wake up call that should sit on your shelf to symbolize that little voice in our heads we all should nurture telling us to seek out better ideas, listen earnestly and have the willingness to change our minds. How are these articles chosen? 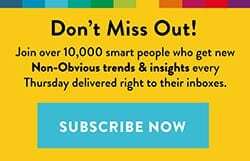 Every week I review hundreds of articles to curate the best stories of the week – and share some quick insights about why they matter for business and marketing. I call these “Non-Obvious Insights” and this is the seventh week I am sharing them. 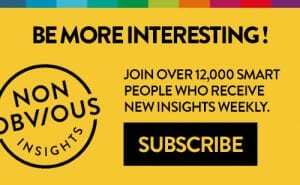 If you would like to see these insights a FULL 24 HOURS before anyone else, please join my email subscriber list here to get the insights every Thursday directly in your email inbox!